Construction on the new bridge over Irving Park Road has started. 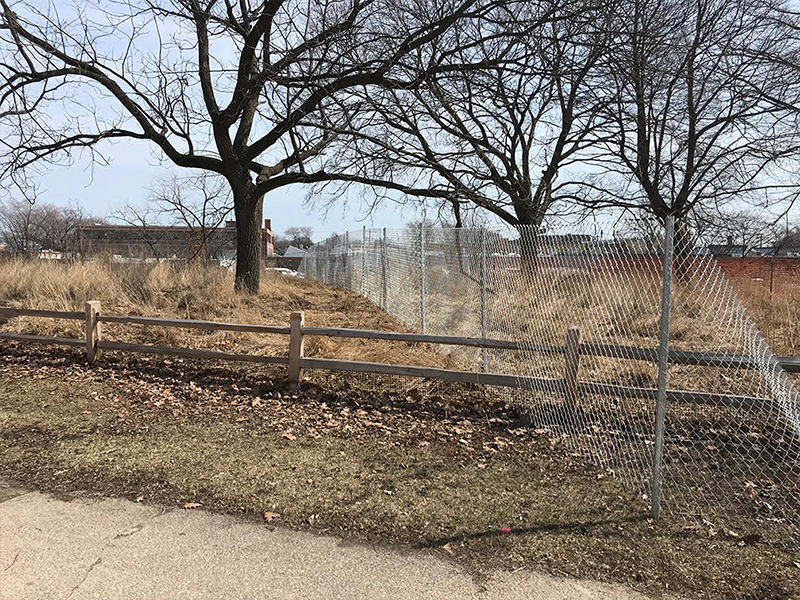 This project includes an underpass that will connect Horner Park to the 312 River Run. 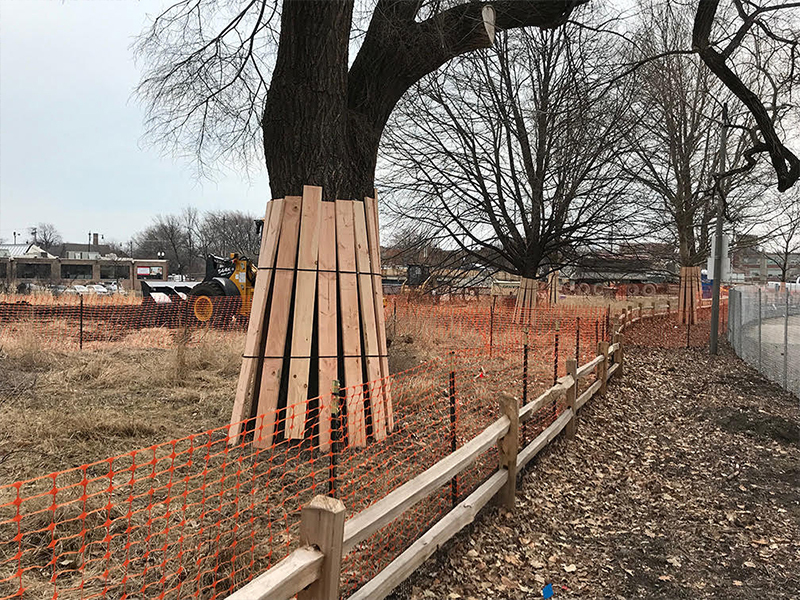 The Chicago Department of Transportation and contractor Christy Weber have made extra efforts to protect existing trees from potential construction damage. Also, new 25 trees will be arriving later to make up for any that had to be removed to make way for the new under-bridge connector. The park district has agreed to develop a temporary re-route of the river trail during construction and will have it implemented as soon as possible. 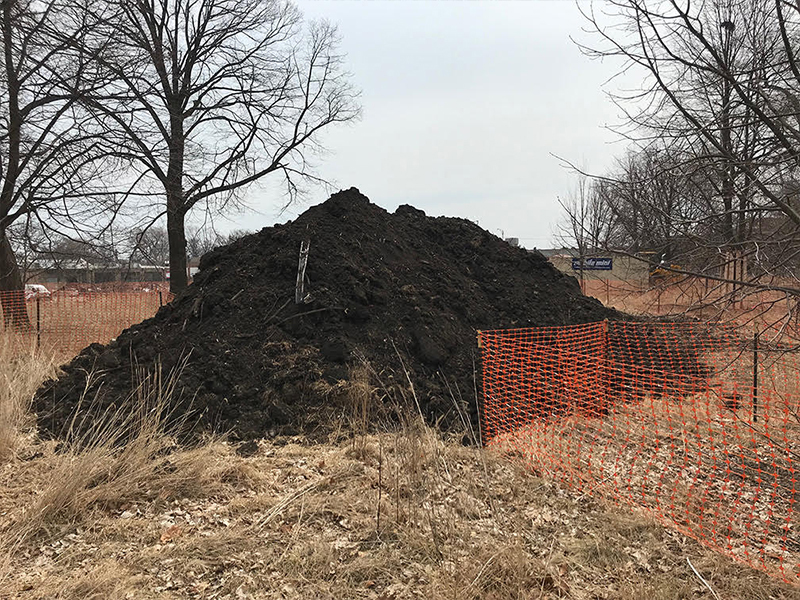 The Native American mound sculpture has not been started; this pile of soil was removed to make way for the gravel road. 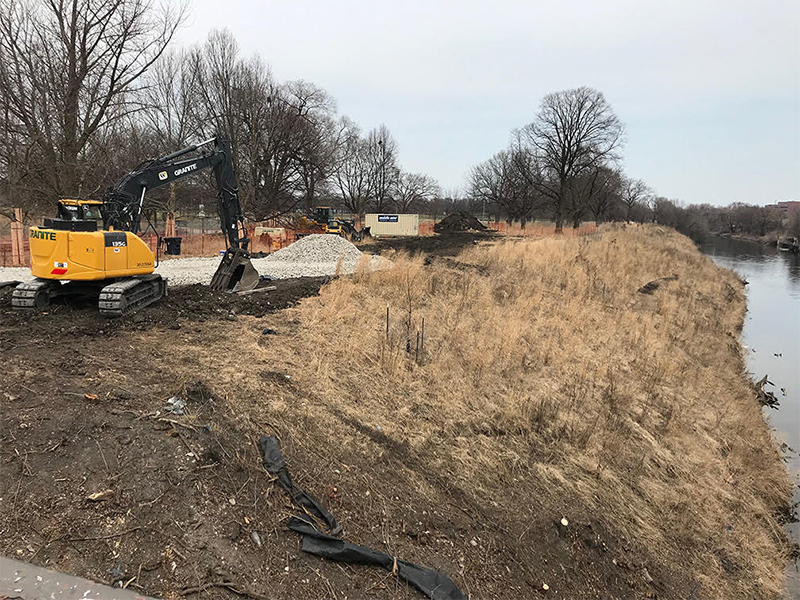 Negotiations are underway, however, for soil from the CDOT excavation to be repurposed for the mound project once all approvals and permits are completed. The alderman’s website has more information and background on this project.